Pacific Advance Secondary School is administered by Pacific Peoples Advancement Trust (PPAT). The PPAT Board brings together the collective work and experience of Auckland-based Pacific education, youth and social services organisations. We have a passion for re-engaging Pacific youth and our skills and experience complement each other’s efforts to improve outcomes for Pacific communities. La’auli Savae Michael Jones is the Chairperson and Founding Trustee of ‘The Village Community and Youth Trust’ established 15 years ago. He has vast experience in leading community groups and establishing and spearheading initiatives towards advancing youth and community development in New Zealand’s most marginalised communities. Engaged in national and grassroots communities, government and non-government programmes and the public and private sector, he has worked in a variety of voluntary, commercial and public sector roles. Michael has extensive practical experience and expertise, insight and knowledge and is engaged in many sectors of our Aotearoa New Zealand society. 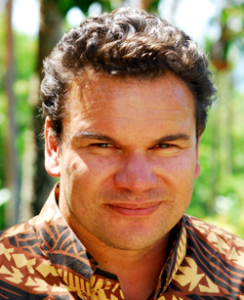 Hamish Crooks has worked in the private, community, and public sectors for almost 30 years, focusing on Pacific, community, and economic development. He is currently the Chief Executive of Pacific Homecare and Managing Director of 4PM Group, which focuses on community development. 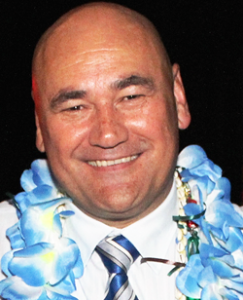 Hamish previously served as the Chair of the Pacific Business Trust, he is currently an active member of Vodafone Events Centre’s Board in Manukau and is the Chair of Fonua Ola Trust a Pacific Social Service Collaborative Network. Hamish has a passion for community and economic development work in relation to Pacific communities, possessing a broad set of skills and experience to complement his specialties. For updates please sign up for our newsletter here.